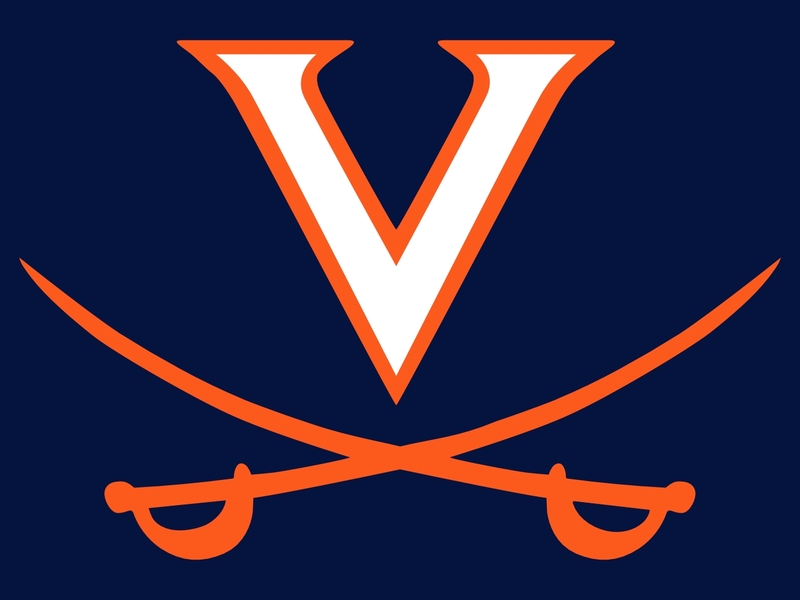 This has been a pretty exciting year of athletics for everyone in Charlottesville, or anyone who has ever been connected to UVa. There were moments in the middle of the numbingly long winter where the only thing cheering our hearts and warming our blood was the basketball team that went on to win the ACC Championship and make waves in the NCAA tournament for the first time in far, far too long. Now, here we are, just a few months later, staying up nights to watch the baseball team win their way to the College World Series finals. Yes, it’s a great year to be a Wahoo (though, isn’t is always?) and while I’ve lost hours of sleep ( and years off my life) anxiously staying up to watch the extra innings, I couldn’t be more aware of how proud I am to be a Wahoo. More than winning, the real value of the excitement comes from how it brings us together; it reminds us of our first adult roots and the collective identity that drove our passion in our early twenties. At this point in life the only thing that is ironically predictable are change and insecurity. Relationships, jobs, cities – they are constantly changing – and suddenly it becomes apparent that the most stable years of our adult lives may truly have been the four-ish years we spent as undergrads, bleeding orange and blue and enjoying the steady bubble within Mr. Jefferson’s university. Game day brings back our security, it reminds us we are a part of something bigger than just ourselves and this single moment in our own lives. It reinforces that we are a part of this family that continues to grow; a growing legacy of hearts beating for the same thing — and you know what? It feels damn good. I have zero idea how tonight’s game is going to turn out, or if we’ll become the National Champions or not, because on some level it [almost] doesn’t matter. These teams have already inspired us to dig down, remember where we came from, and hopefully feel a little more inspired tomorrow as we plug away wherever we are in our lives and the world. That was a little bit of a soap box moment, but that’s just where I am. I am inspired; I’m reminded of everything I love (and loved) about Virginia, what I poured my heart into while I was in school, and what I wanted to accomplish with my life and that passion when I walked down the lawn and carried myself into my future. Which all begs the question of the moment – when this passion is remembered and the energy is raw, what’s the plan? I’ve leveraged that strong foundation to get to this place, to get to right now…. so what’s next? Maybe everything. Every year, around this time, there comes a day when I just hit my threshold for winter. It’s not necessarily on the coldest or snowiest day, but just a day when my tolerance for anything other than the regrowth of spring and light jacket weather becomes insufferable. Wednesday was that day for me. It was cold, work was frustrating, and I was experiencing a constant level of nagging anxiety that I couldn’t shake off with rational thought or even wine. We’re just over a month into the new year ( which always somehow resets life across the board ) in the thick of the building phase for the next three seasons. New projects, goals, and restructuring for both business and personal lives are in full force – detailed out in to-do lists, budgets, and expectations that will undoubtedly be deemed obsolete by the time we begin executing the plans. We’re all trapped inside, sheltered from the cold as prisoners of the grind; planning, evaluating, and creating our own hurry-up-and-wait anxiety for every imaginable demand we can think of. Then, miraculously, when the weather finally breaks and we’re rolling in consecutive 70+ degree days, life somehow manages to begin. We graduate from the planning phase into the post-planning hyper productive phase of actually accomplishing things. We can finally feel the gratification of achievement, and use it to gain the momentum to feed us the energy to take on the rest of the year. It’s a beautiful cycle really — but only after winter is over. So, since I have absolutely not control over the weather (namely the recent patterns of almost warm weather followed by two consecutive days of snow) I’m taking control over the next few months of my own life, and to the extent that I can — everything else. 1. Goals Accomplishments I’ve been a little down on the idea of setting ‘goals’ lately because they can too easily turn into a list of forced to-do’s in the future, so instead, I am focusing on ‘near term accomplishments.’ Habits to create right now, priorities, and daily/weekly goals that are both attainable and fulfilling. 2. Time Blocking. In my former life I could multi-task with the best of them. In fact, I performed best when under multiple deadlines and an overwhelming sense of urgency. Now, not so much. I have things happening in way too many directions right now and the challenge isn’t necessarily in getting them done, but rather, being able to be present in the moment I am doing them, focusing wholly on the sole task at hand to complete it fully and be done without having to come back to it multiple times. I love this kind of structure and can’t wait to actually have time free to do whatever I want without worrying about the growing to-do list waiting for me at all times. 3. Yoga. I’ve been neglecting my self (not myself, really my self) and my body lately, so I’m making space in my life for this. It’s a priority. Between MADabolic, Flywheel, and all my runs and endurance workouts, I hardly struggle to find a good sweat, but I have been completely failing to give love back to my body. I need to spend time focusing on mobility and flexibility in both my life and body, and for me, yoga is the answer. 4. Creative Therapy. I love crafts. More than that, I love creating. Whether it’s painting, sketching, designing, re-organizing my house, or even building a strategic plan for one of the businesses, the act of creating is so cathartic. Sometime in the last couple of years I either lost the time or the space for the full creative process, so now, I’m focused on getting it back. This is the ‘piece’ of my new life-commitments that I’m the most excited about, and that I think will ultimately provide the most value to all the other areas in my life. So those are my top 4 right now, from a list that is actually much longer, and will undoubtedly continue to grow. I’m excited to share everything that goes into these goals, and the accomplishments that come out. There’s something really rejuvenating about taking the time to spell it out and really committing to the power of it all (plus it magically fit into the 1 hour I had blocked while watching Father of the Bride on TBS. Double win).